Get through your day a little more comfortably with the great selection of mens underwear at JCPenney. No matter your preference, we’ve got the perfect fit you’re craving. Our boxer briefs offer all-day comfort with stretch fabric, for the perfect combination of flexibility and a snug fit. Ultimate comfort and confidence means that our basic brief never ride up. Relaxed with a vintage feel, mens boxers with yoke fronts are super popular for their old-school style of three snaps at the waist for extra convenience and essential comfort. Undershirts, basic cotton t-shirts, whatever you happen to call them, they’re the important first layer that protects your clothes from sweat, and gives them a smoother look, and come in both crew neck and v neck styles. 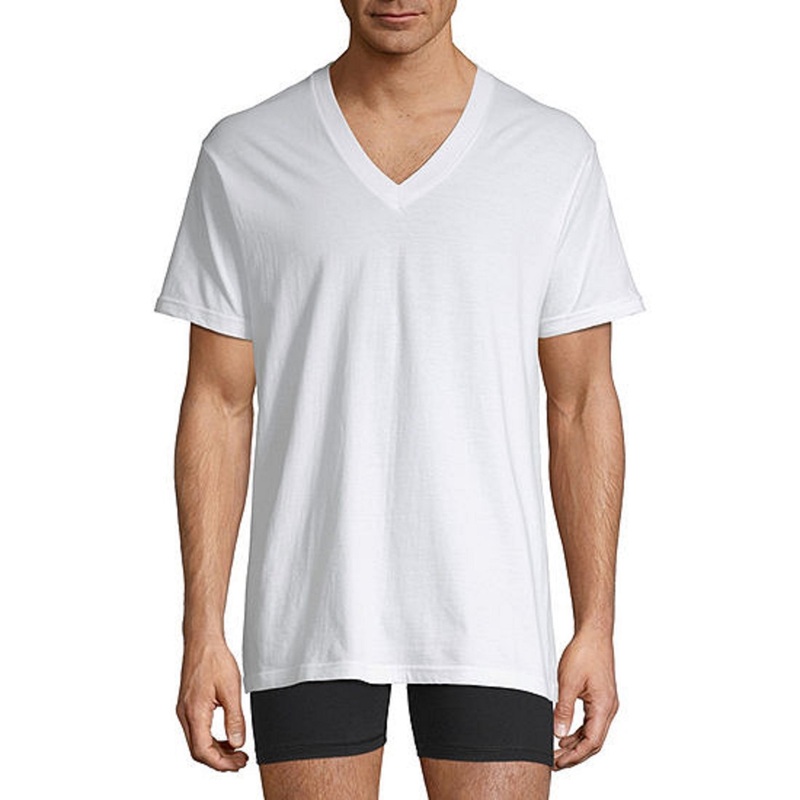 Men's tank tops are a snugger style that provides a uniform look underneath any shirt. A muscle tee is perfect when it’s time to break a sweat, whether you’re pounding the pavement or hitting the weights at the gym. Ultra-soft cotton wicks moisture away for stay-dry comfort no matter how hard your workout. No matter your preference in mens underwear, we’ve got you covered with the styles, sizes and fits you need. Explore all the undergarments you need plus more in our complete collection of clothing for men!